Il progetto di cooperazione RAMSES è volto a selezionare un paniere di prodotti di qualità legato ai territori della Sicilia orientale. Nel corso della serata saranno presentate le attività di profilazione sensoriale, le modalità di narrazione ed i Passaporti del gusto. L’incontro è rivolto prioritariamente alle imprese, alle istituzioni del territorio ed a tutti i gastronauti. 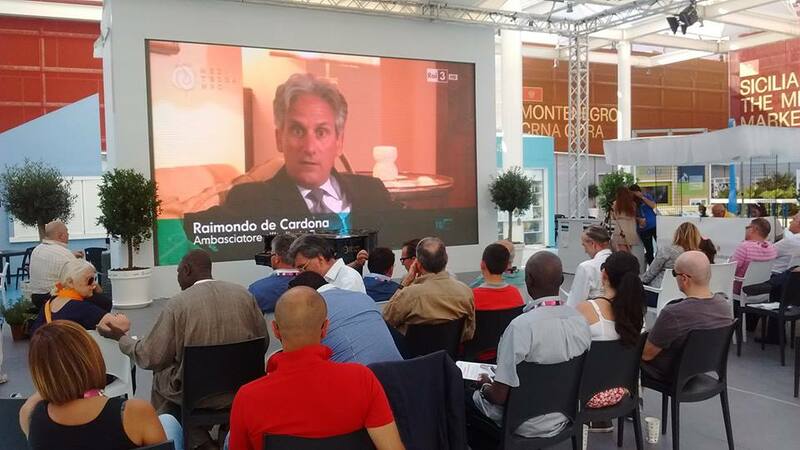 Video presentation of the Servagri.eu project on the EXPO 2015 official day of the cooperation with Africa, broadcast by TV program MEDITERRANEO on 1st June 2014, a co-production of international relevance made by RAI and France 3, in collaboration with ENTV Algeria, broadcast by Rai Tre, France 3, France International and TV5 Monde (France), ERT (Greece), RtvSlo (Slovenia), JRTV (Giordania), ENTV (Algeria) and by televisions in Arabic associated with ASBU (Arab States Broadcasting Union). This prestigious and highly impressive video was created by journalists Lucia Basso and Giovanni Marano and broadcast as opening news report by the above-mentioned TV program. Following the broadcasting, H.E. the Italian Ambassador in Tunisia Raimondo De Cardona has firmly expressed his wish for the development and growing of such operations as the “SERVAGRI project” all over Tunisia.